Lookout Mountain was tucked in the deep darkness of a Tennessee winter on the morning of December 19. Frost prickled and clung to every branch on the surrounding hillsides, casting a ghostly hue over the landscape. My breath escaped my body in shallow gasps, hitting the 19 degree air in wispy clouds. I was shivering badly in the unexpected cold, and drifted closer to a nearby blazing fire-pit, just yards from the start line for the Rock/Creek Lookout Mountain 50. I wrote the encouraging words of Major Richard D. Winters of the famous “Band of Brothers,” 2nd Battalion, 506th Parachute Infantry Regiment, 101st Airborne Division on my left hand: “Hang Tough!” It became my mantra for the event. As time ticked confidently forward, fear began to overtake my mind. This would be the longest, most technically difficult and mentally trying event of my running career. A true mountain race with tremendous climbs, long stretches without aid access, multiple water-crossings and a long rope climb into the clouds. The cold was overwhelming, and I had forgotten my gloves. Luckily, my crew member, Amber, had a pair and selflessly handed them to me in an attempt to keep me warm. As I stood there shivering in the bitter air, all I could think about were our soldiers exactly 71 years to the day in the snow covered Ardennes Forest of Belgium, surrounded by the enemy in an offensive soon to be called the Battle of the Bulge. Never would I be that cold and scared. The gun went off and I took off. The first section of the race followed a long technical downhill along the side of Lookout Mountain. In the first mile, spacing out before hitting the singletrack. I found myself on, or close to, the lead through the first aid station around the 6 mile mark. I felt great, strong, and even confident. Then, in a split second, all those positive feelings were smashed. At mile 8.30 the unexpected happened in a split second. My foot found an ice covered rock under a technical downhill, hidden under a bed of leaves. I was going too fast to stop, on too steep a grade. Before I knew what was happening, I hit the ground hard and slipped down the descent. 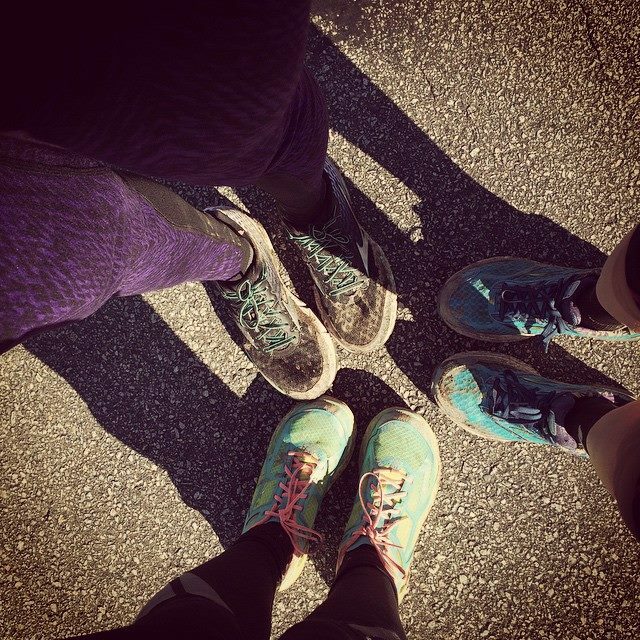 The aftermath of running 42 miles after a race-day accident. I laid in a shaken heap in the leaves for a moment before stumbling to my feet. I was shaking from the shock and the cold. My left knee, ribs and shoulder instantly hurt. My right knee and elbow ached a bit too. I looked down at my knees and to my horror, I saw my left was immediately swollen to the size of a baseball. Blood was pouring from an open gash. It was 5 miles to the next aid station. So I started walking. At this point, there was no doubt in my mind that my race was finished. I was losing too much blood, has a severe contusion on my right knee, and I could not breathe properly. But I refused to look at my cuts and bruises. I did not want it to get into my head. I did not want to quit, but believed it was inevitable. At the aid station, a medic applied WoundSeal to my knee and gave me some Ibuprofen. She also asked me to please consider dropping from the race. But I again though of our World War II paratroopers in Bastogne and decided to at least try to get back to my crew at the next aid station at mile 22.5. What I did realize, but refused to accept, was the fact that the next section of the race was by far the hardest of the day: a grinding climb, gaining over 2,500 feet in just under 5km. My knee was searing. My mind swimming. But, using my Black Diamond trekking poles, which I nearly decided to forego at the starting line, I pushed my way up the mountain, trying my best to relieve the stress on my left knee in particular. Relying on ropes to literally pull myself up the mountainside. Whether it was the altitude, or the high I get from reaching the summit of a mountain, but at mile 22.5, when I crossed by through to the aid station and saw my crew: I decided to keep going. The next 27.5 miles passed by in a blindingly painful blur. Mile 35-37, on a loop running on my own, I began to cry. The pain killers began to wear off as I drifted into a mental state that had me wincing in pain at every step and eager to quit. But it passed after a few water-crossings. My competitive race for the podium was over, but now the true experience of ultra-running began. 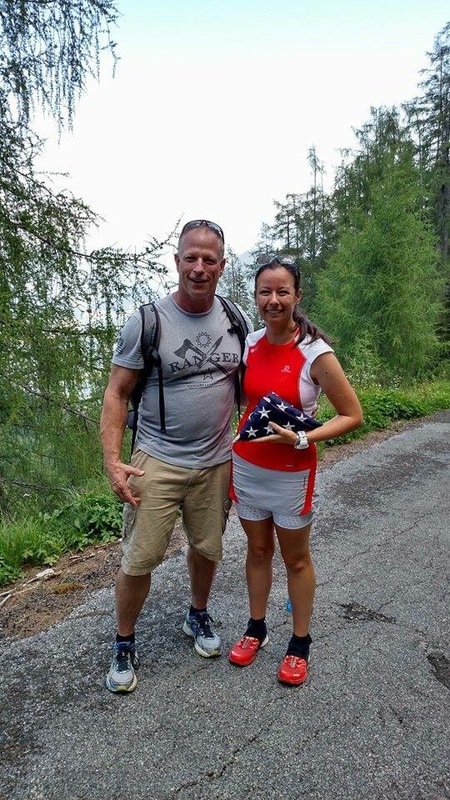 I ran with people from all over America: a lawyer from Georgia, a retired Fort Bragg paratrooper, a veteran Virginian ultra-runner who had done every race you could think of. We swapped stories and shared miles, suffering alone but also together: Currahee in the essence. The hardest portion of the race for me, physically and mentally. Around mile 41, I took a break to hike and get some food down. I checked my phone to see messages from co-workers, friends, family… People cheering me on from all over the World. My mother, Emily, Sam, Brendan, Suzie, Kia, Natalie… Countless people who mean so much to me and kept me going in my darkest points. Lula Falls, most stunning thing I have seen during a race. As the miles slipped away, so did the sun. I was treated to a beautiful sunset as the finish line neared. My headlamp flickered on and I was able to more easily navigate the darkness. There was one final climb before the end, and I was able to power through it, beckoned by the far off sound of the announcer and the lights of the finish line. Immediately upon crossing the finish: heading for a warm up of Ramen noodles. Exhausted and hungry. 10 hours 53 minutes 22 seconds. My goal was to finish sub-9:00. But sometimes you just have to say, “Nuts!” on a Bastogne-esque winter day, and readjust your expectations. I finished 13th overall in my first regional championship, still managing to win divisional honors by 5 minutes. So, my racing season for 2015 is over. It has been quite a year, and quite a season. 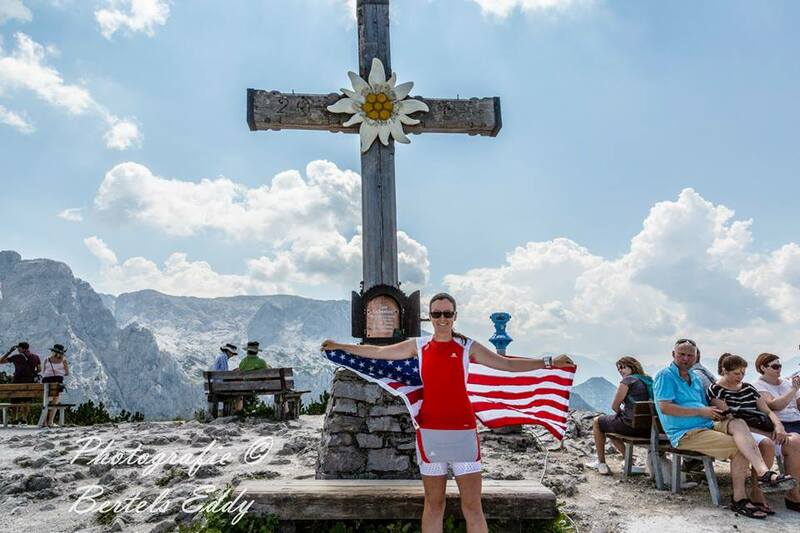 Since returning from Europe in August, I raced three times: winning the Currahee Challenge mountain race in October, finishing fourth overall in my return to ultra-running in the Old Glory 50K in November, and then surviving the challenge that was the Lookout Mountain 50. 2016 will be far more physically challenging, but nothing will top 2015. Look for my recap for the year coming up later this week as January arrives. Thanks for all the support. Currahee and hang tough! Next Event: Uwharrie Mountain Race 40. February 6, 2016. 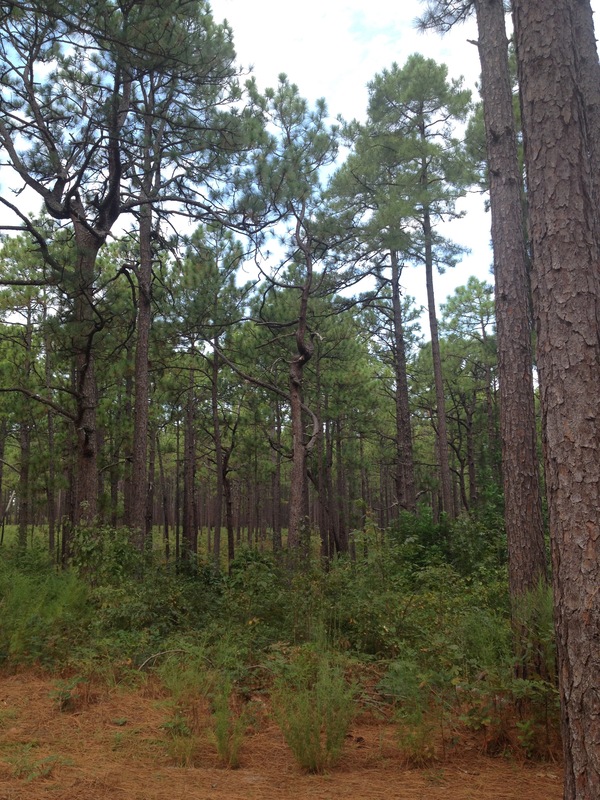 Uwharrie National Forest, North Carolina. I was fueled by Skratch Labs’ Apple & Cinnamon and Matcha Green Tea + Lemons for this event. And weathered the event in Salomon Running’s race kit, including the S-Lab Sense Ultra 3 SG. 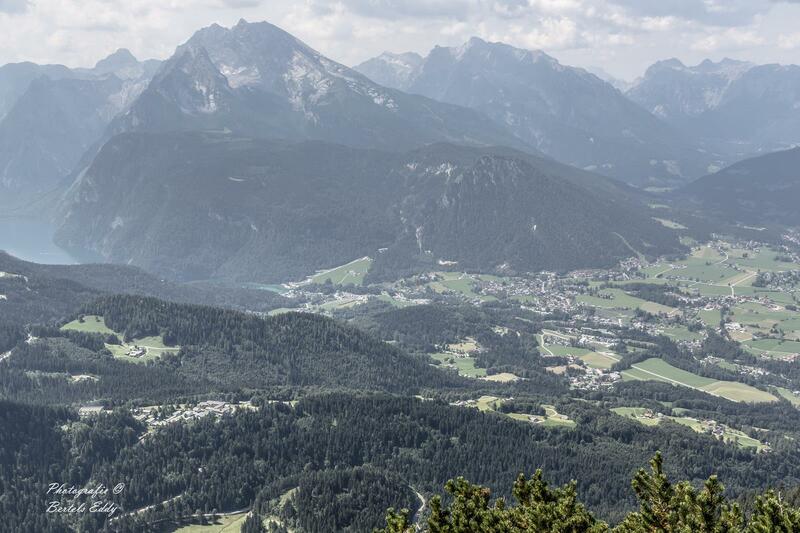 It seems just yesterday I was standing on the summit of Kehlstein Mountain, looking over the wide expanse of Earth out toward the horizon, all the ground I had covered in a journey that once seemed impossible. That day, the sky was an azure blue and the only barrier that stood between me and the Heavens were several tall pillars of clouds that reached out toward the sun. I had never felt so alive as I did that day. But that evening, when friends parted ways and our fellowship broke upon the hot summer wind, I have also never felt so alone. For two months, as I ran 850 miles across 4 countries during Run For Currahee, I always had a finish line set before me in the distance. I had a goal and a purpose. Now, all that was gone in an instant. In the following days, I found myself out on the Alpine trails of Berchtesgaden as the sun was just rising. The mountains towered ominously above me nearly in an effort to remind me that I am just a small piece in the fabric of the World. It is difficult to describe to people the emotions involved with something as large a scale as what I experienced from June 6 until August 8. Following its closure, I was simply not prepared to return to the ease of everyday life. But harsh as the World is, I was on a plane bound for home just a week later. 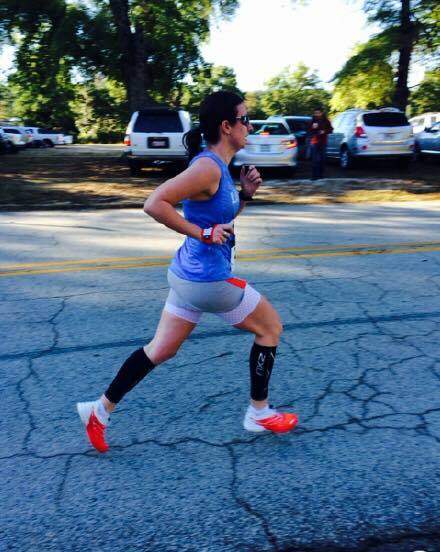 Not having to get up every morning to run 20 miles would be a blessing for most, but once I returned home I struggled emotionally with the fact that the purpose I found in Run For Currahee was gone. Then, once I did begin to run again, I discovered that my body was so exhausted that I could not, no matter how hard I tried. 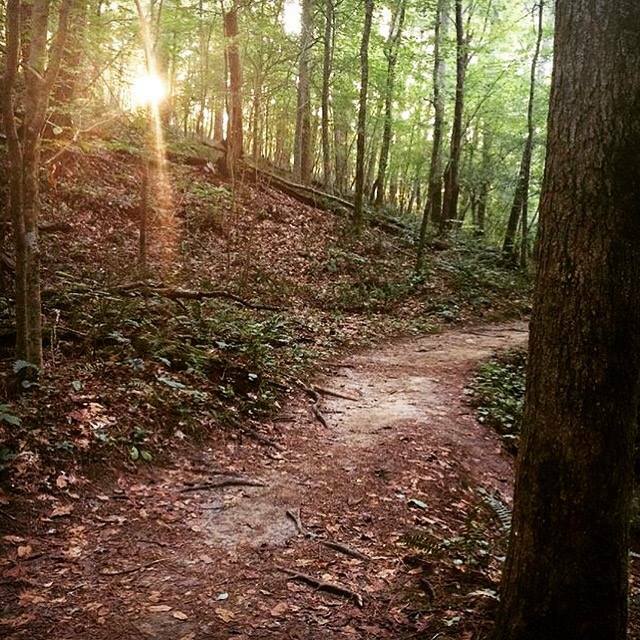 Not even my favorite trails could get me back into my rhythm. Those around me saw how I was suffering to readjust to the simplicity of everyday life. They told me I needed to find a new purpose, set a new goal, find a finish line ahead in the distance. So, I did. And that finish line would be a race. And it would not be just any race. 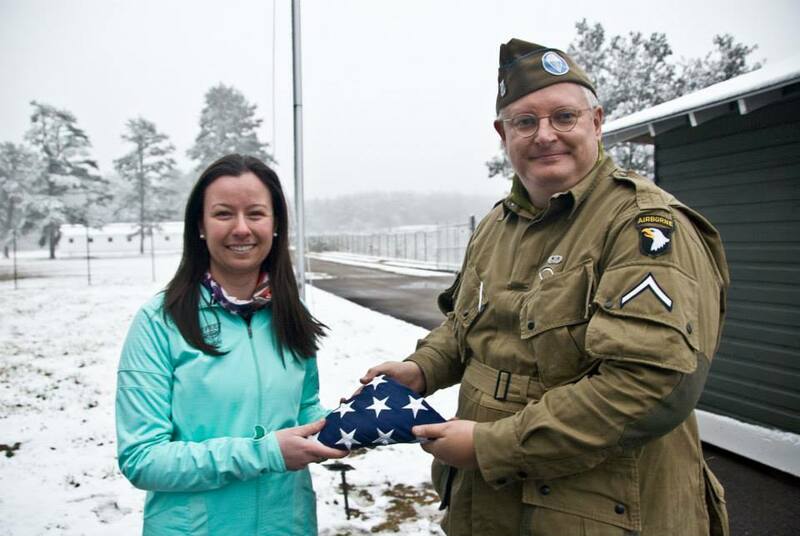 It would be the Currahee Challenge mountain race on the historic grounds of Camp Toccoa, Ga., the very place in which the purpose of Run For Currahee was founded. The Currahee Challenge has been the bane of my racing career since I first began running competitively a few years ago. 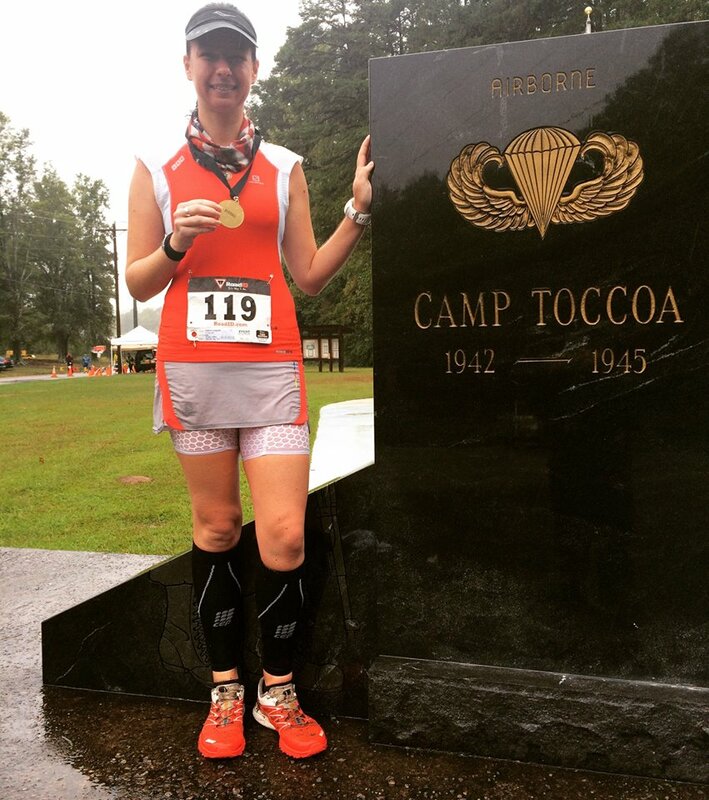 It is a 6 mile mountain race following in the footsteps of the soldiers that trained at Camp Toccoa in World War II, up and down Currahee Mountain in the Appalachians of Northeast Georgia. 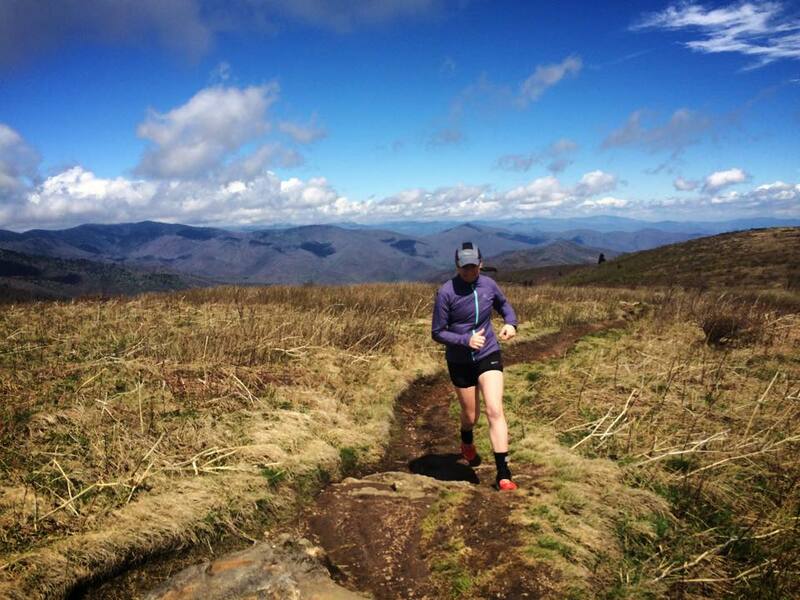 It is considered by many to be one of the toughest races in the Eastern United States. I can vouch for its difficulty. It is not the distance of the race which is troubling, as I have run much father without batting an eye. Nor is it the conditions, as the race is generally held in perfect Autumn weather with the mountain cast in a golden hue. It is the course than proves most difficult: a steadily climbing first two miles, then a final mile to the summit where you feel as though you are fighting gravity itself, pushing into the clouds. The closer you get to the top of the mountain, the more challenging it becomes. I had raced it twice before. I finished runner-up female in the 2013 edition of the race. But the physical and emotional toll it left on me took me out of commission for nearly a month. 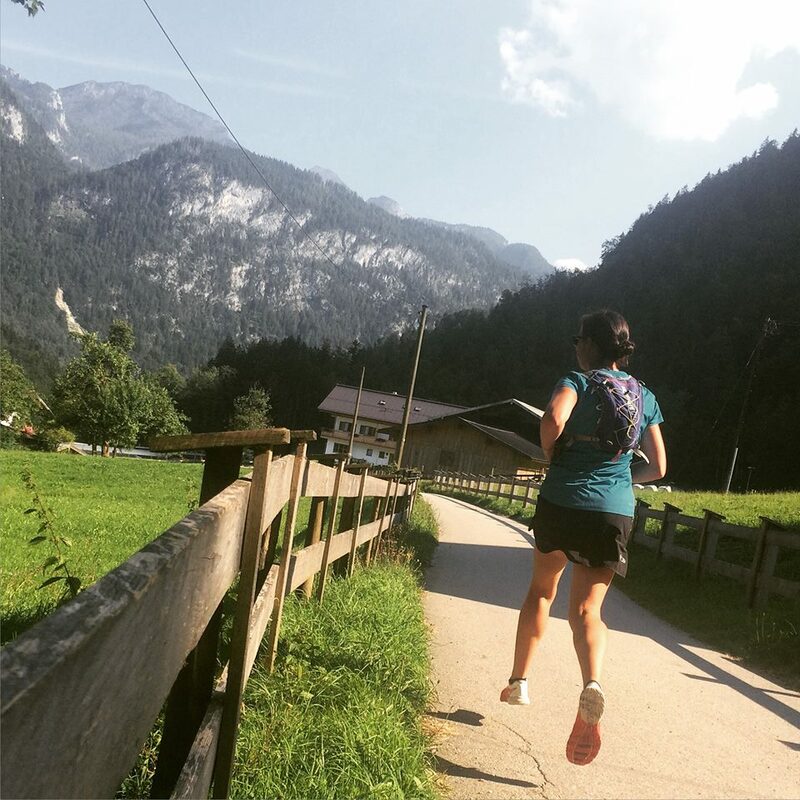 In the 2014 event, I succumbed to my fears and faded badly by half-way, clocking in at a clip much slower than my initial attempt and missing the podium by daylight. This year, I vowed, was going to be different. 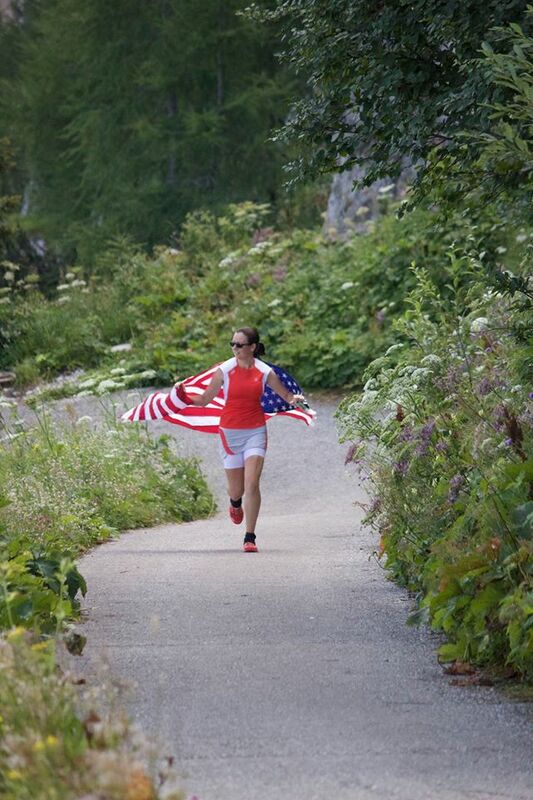 As my training progressed out of Run For Currahee, I found that I was stronger than ever, lighter and leaner, too. 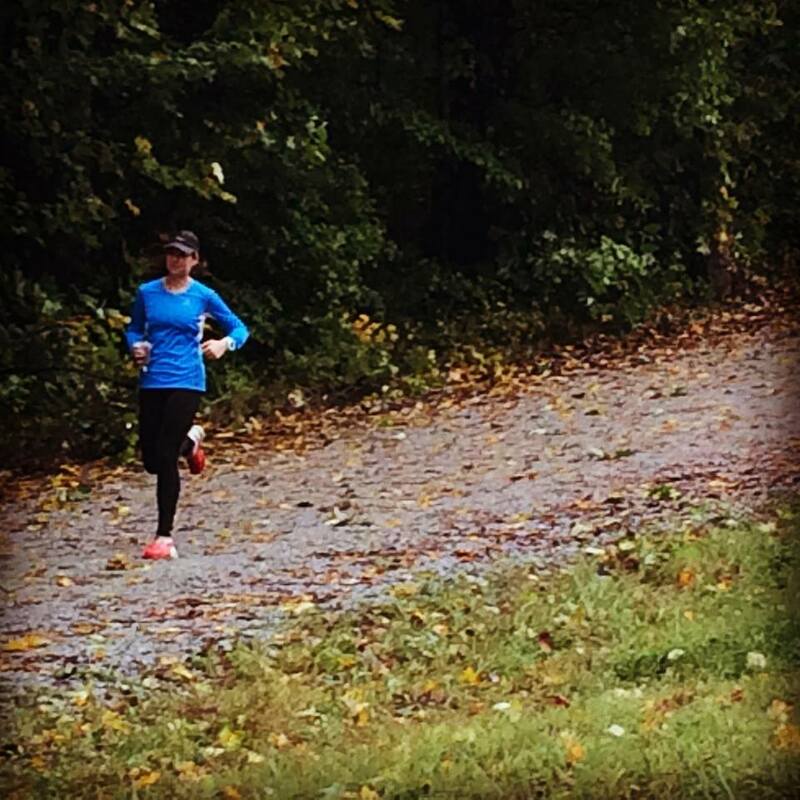 I followed a different training method than before, spending four days on the trails to build agility and finesse, a day on the track or roads to focus on speed, and one more workout on a treadmill cranked up to a 12 percent grade to mimic the third mile climb to the turnaround point on top of the mountain. I calculated that if I were to win the race any year, after all I had been through with Run For Currahee, this would be the year to do it. And although that focus and dream was a driving force behind my training, it was also a source of unneeded stress. I began to doubt myself and my capabilities. Soon, winning the Currahee Challenge began more important than racing it for the love of the mountain, its history and to simply enjoy myself. 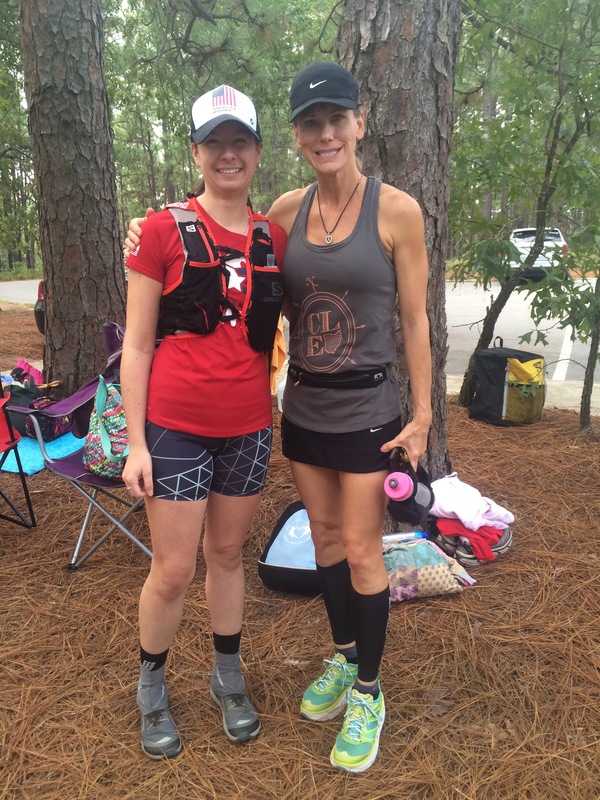 Just two days before the race, I ran with a friend on my home trails. It was raining slightly, casting a grey tone over the trail. The run became more of a dance between the Earth and I. My foot falls became so much more apparent to me. I found myself smiling. I revealed to my running partner just how nervous I was for my race, how much pressure I had put on myself and how badly I wanted to win. I was quickly told that I need to just do my best and no more could be asked of me. Suddenly, it made sense, running Currahee was always my dream. Winning Currahee was an afterthought. I made a decision right there to run my own race for the unbridled love I have for it, and to seek the same joy I found on the trails for a split second that day. Not for a medal, or a record, or a win. Just to run. 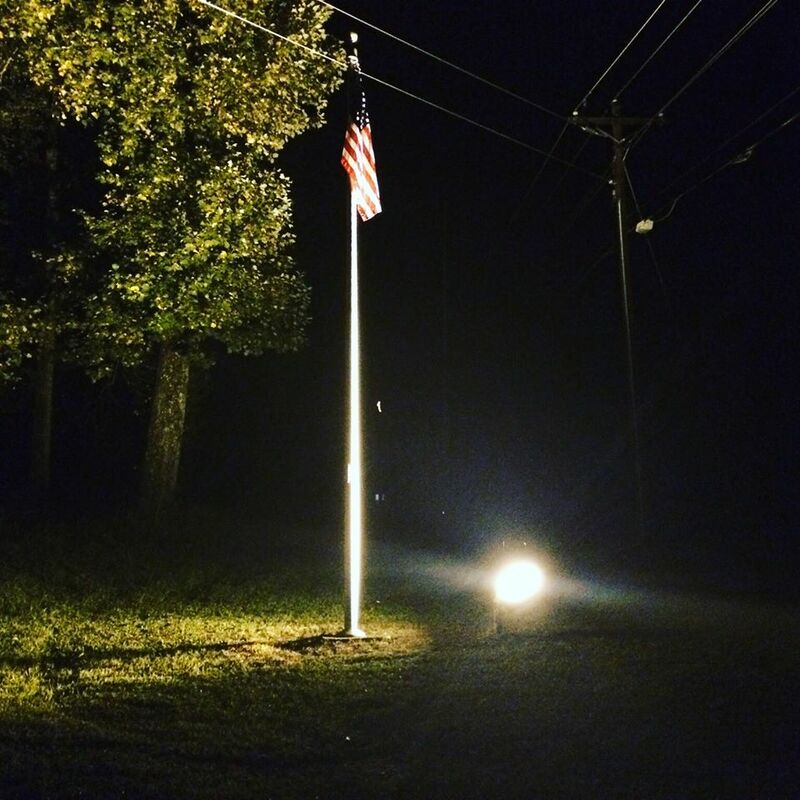 On the evening of October 2, I found myself staring up at an American flag illuminated in the depth of night. 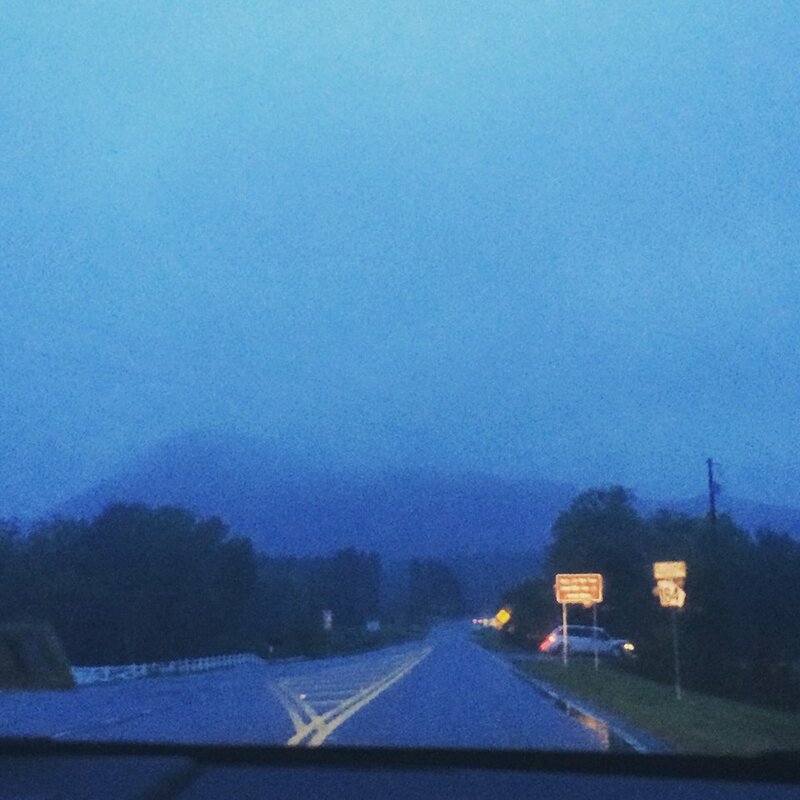 Icy rain stung against my face, but I cared not, as I was standing in the place in all the World that mattered most to me: Currahee Mountain. I touched the soil under my feet and ran my fingers through the quagmire of mud. I took a handful and threw it to the ground. It is 8:20am and I am standing in an open field at the mercy of the winds and rain being thrown from the sky upon me. Hurricane Joaquin swirls off the coastal United States, whipping in up to 10″ of rain upon the Appalachians, causing historic flooding. My shoes are already soaked through and I wiggled my toes, feeling the water slosh between them. Beads of rain drip slowly from the brim of my visor. My teeth are clenched in an attempt to stop my uncontrollable shaking. I am standing mid-pack, unsure of my worth in a crowd of runners far more experienced than I. Someone begins to speak on a loud-speaker. Then a woman begins to sing the National Anthem. Her voice cracks in the cold but, as if drawn to her, I find myself slipping closer to the front of the pack. Soon, I am toeing the starting line. Silence fills the air and then a gunshot penetrates it. For some reason, and it was not out of logic or choice, I find myself all alone on the lead. I have never led a race before in my entire life. But here I am. I race out of the field and down a road, before hitting the trail with a sharp right hand turn at the base of Currahee Mountain. Almost immediately, I begin going up. The ground is nothing but sticky slop. It swells around my ankles with each stride. My muscles clench and release with each footfall in an attempt to maintain my balance. For a mile, I am all alone. I check my watch and see it flash: 7’06”. I am going too damn fast. No one can go that fast up this mountain. The ground beneath my feet smooths slightly and it becomes easier to power up the incline that sweeps below me. I know my legs are strong on hills. I keep going. I flash by the first aid station 1.5 miles in and am still all alone. Then, I begin to hear footfalls behind me and to my left and right. My heart drops and then spikes as a few men dash by me. No women. I am racing the girls, not the boys. Race smart. Mile two catches me by surprise: 7’20”. My pace has dropped by a few seconds. It is okay. Keep going. The mountain begins to curve upward toward the sky. The wind howls the closer I get to the summit. By mile 2.5, I am blinded by the whipping rain. I am constantly wiping droplets from my eyes and the brim of my hat. Only a half mile until the summit. You can do this. Half a mile until you turn around. The ground heaves in swells under my feet. A switchback pushes me around the mountain. I can no longer run, I need to power-hike. 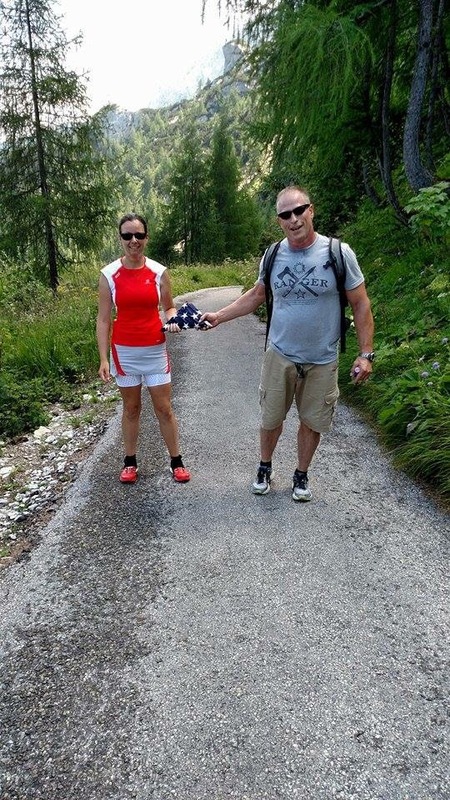 There is no shame in power-hiking. Anna Frost power-hikes. Kilian Jornet power-hikes. Do not stop moving. Forward progress. I reach the summit, completely exhausted by the rain, the wind and the mountain itself. But I keep going. My calves burn, my lungs are searing, I have a stitch in my side. I forget to look down at my watch for the third mile, but I know it is slow. Despite how badly I want to slow down, I know I must keep going. The race is not over yet. You’ve got to make it down first. Gravity helps race down the the mountainside. I feel as though I am flying through the storm, engulfed by the rain and wind. 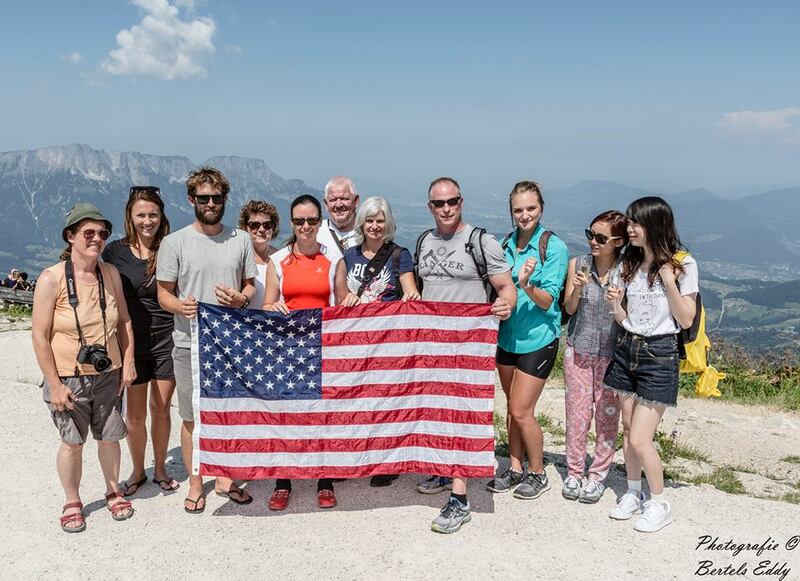 The majority of runners are still coming up to the summit and many recognize me from my travels. 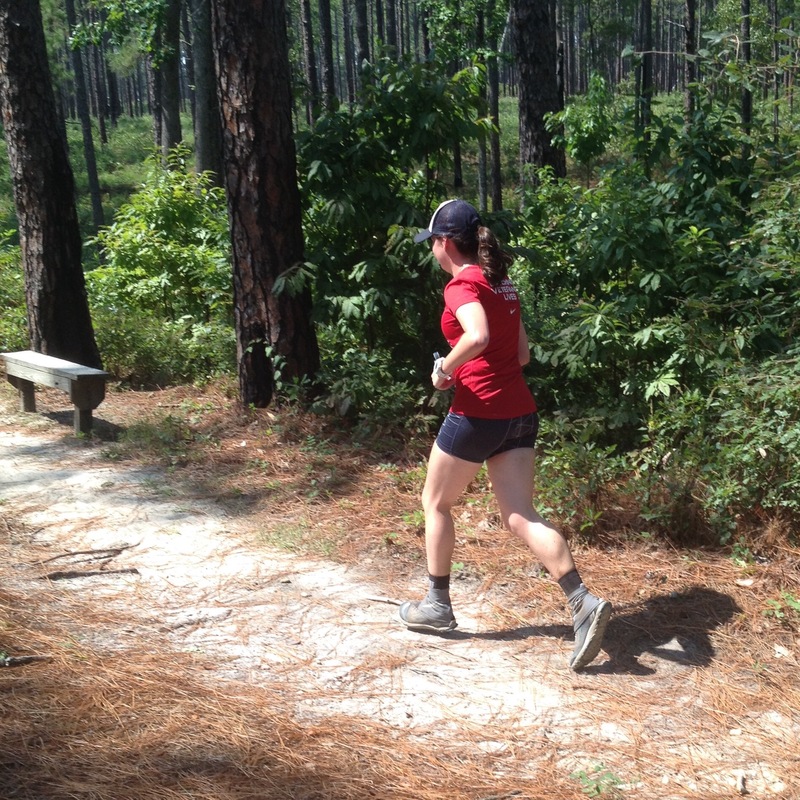 Cheers of: “Go Kathryn!” “First woman!” and “You go girl!” follow my path down Currahee. The second place woman is still making her way up to the turnaround point, far behind, but I know many things can happen in a race like this. Once again, I am all alone. The fourth mile slips by in 6’23” and I feel as though I am in control but simply falling down the mountainside. The fifth mile is a nothing but an afterthought gone in just 6’01”. Do not fall. There are a few big hills on the way down the mountain, too. I run some, but on the last hill I need to power-hike again. My legs are giving out. My vision is blurred. I am completely exhausted and bitterly cold. Forward progress. From there I see the final long descent to the finish line. I look over my shoulder and see no one behind me. Soon I find myself running for the pure joy and freedom it gives me. How bad do you want this? I slosh through the mud with a smile plastered across myself, like a child at play. 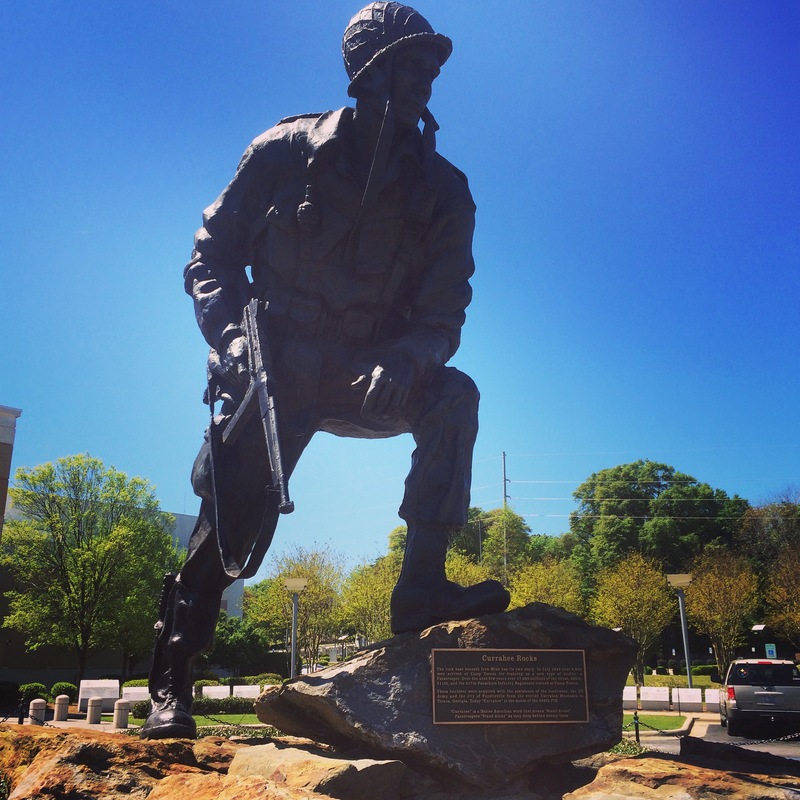 I turn a sharp left handed corner and dash through the historic grounds of Camp Toccoa. The route is lined with cheering fans, people yelling my name, reaching out their fingers to give me a high five as I splash past them. So, this is what the Olympics feel like? This is my moment. I earned this. The rain is pouring down, I am running through mud up to my ankles, but I have not a care in the World. 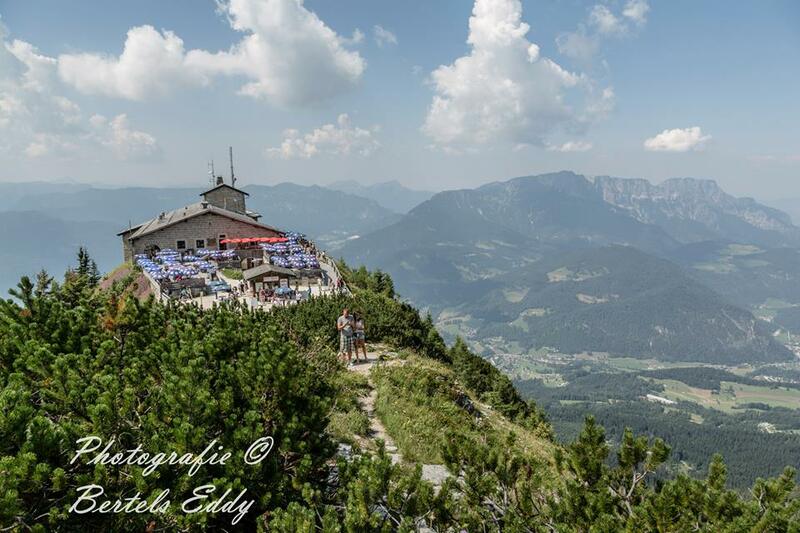 I feel so alive, so free, I feel as though I am back on Kehlstein Mountain on August 8. Soon, I am face to face with the finish line. I cannot control my tears. I pump my fist in the air. Raise my hands in the Air, thanking the Heavens as rain meets my face. Sobbing uncontrollably, I cover my eyes with my hands in disbelief as I crash past the finish line. 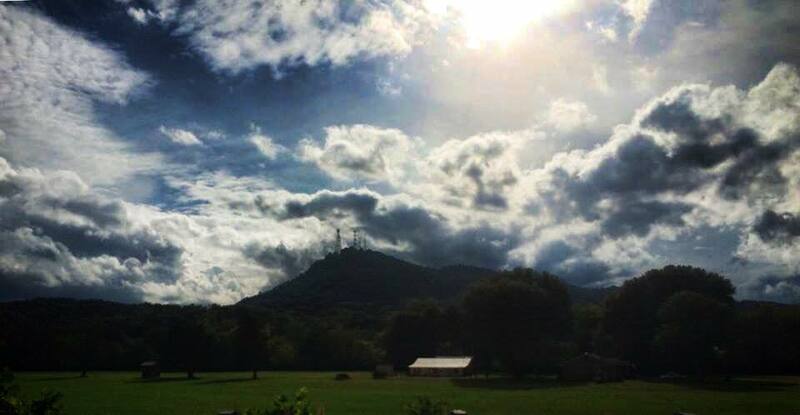 I collapse and kiss the Earth, kiss the grounds of Camp Toccoa. Champion. 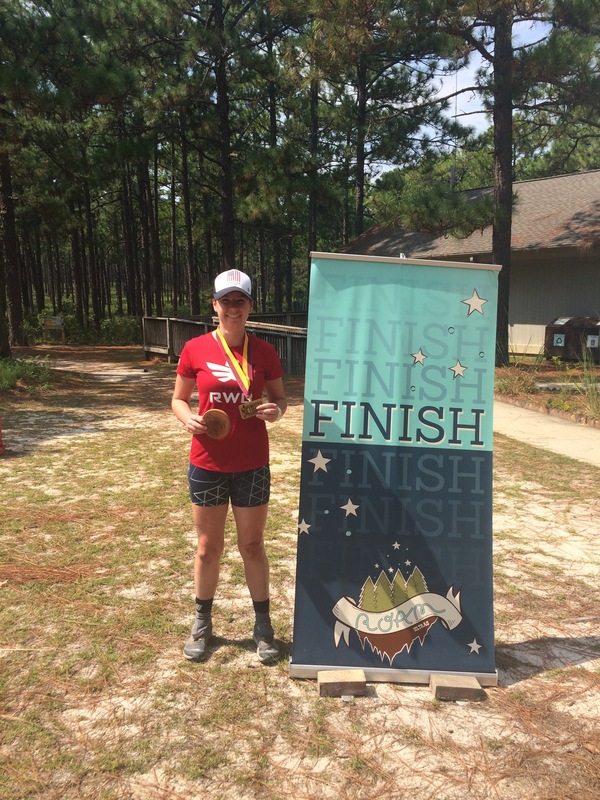 First place female. Eight place overall. My dream fulfilled. My journey finally over. So, here I was, drenched to the bone, shaking in the cold but refusing a towel, with a simple gold medal around my neck, mud stains up to my knees, tears streaming down my face. The race director encourages me to tell the crowd my story, the story of Run For Currahee. I get a standing ovation. Is this real? Is this really happening? Sometimes when you are in a moment, you realize the importance of it. I am not sure how I won that race that day. But what I do know is that it was, for some reason, meant to happen. The racing Gods had just written it that way. I will always remember the way it felt to come charging home first, with the odds and weather stacked against me, on the mountain that has made me who I am today. I am simply honored to have left my mark amid the boot-prints of the Toccoa Men on the mountainside of Currahee. I hope it will remain there for many years to come; or at least until I can leave fresh marks there again next year.